We strive to give the best of service to our clients and readers. Today, we bring to you the football predictions of the day. Something to set you in the mood when you love watching and staking on football matches like we do. The gurus handpicked each of the Predictions. Chelsea has been crown the FA Cup champion over the weekend. As we await the UEFA Champions League final showdown between Real Madrid and Liverpool this weekend. Don’t miss out on the latest football prediction on the Leagues across the world today, go to Confirmbets today. Selections of each game are done after a careful research and analysis along with consideration for other related matters that could affect the outcome of a game (e.g if the star player of a team is available, the importance of the game to the teams involve etc.). Learn more about soccer betting outcomes. These football Predictions are offered in three categories. 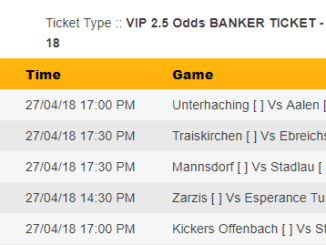 Our tipsters are doing wonderfully well in this betting tips categories and they are categories where a lot of money are won from bookmakers. 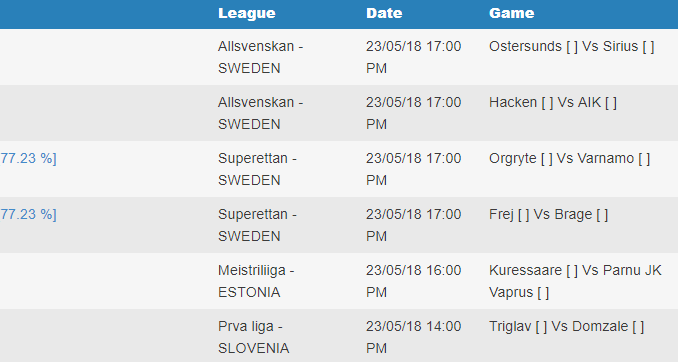 Any soccer prediction under Over 1.5 goals category simply means we are predicting the match to end with a minimum of 2 goals scored by the end of 90 minutes and you can learn more about outcomes of soccer betting tips. Our football predictions experts are very thorough when it comes to research and analysis of over 1.5 goals games. In essence, our clients have been putting there trust in the experts for the past two years and we are still going strong. Any soccer prediction under Home win either half category means we are predicting that the home team will win either the first half or the second half of the match. This is one of the most common Betting tips staked on by punters. We play it because of the high odds associated with it on sports betting site. The teams listed on that prediction sheet have a prominent view as teams that win at least a half of there games. Feel free to learn more about “home win either half”. Be your brother’s keeper, Don’t forget to Share on social media. 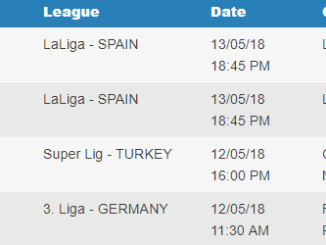 Football predictions under Over 2.5 goals category simply mean we are predicting a minimum of 3 goals will be scored before the end of 90 minutes in this matches. The teams listed are involved in most high scoring games in their different leagues. We try to put the best out there. Don’t forget to share with your friends. Uefa Europa League Quarterfinal Predictions and Free Experts Betting tips.